We are pleased for share this Call for Papers for an important upcoming conference. The congress is organized by the Bet Tfila – Research Unit for Jewish Architecture (Braunschweig/ Jerusalem) and the Lehrstuhl für Kunstgeschichte at the Hochschule für Jüdische Studien, Heidelberg in cooperation with the Braunschweigisches Landesmuseum, Braunschweig, and the Israel Jacobson Netzwerk für jüdische Kultur und Geschichte e.V. Since antiquity and especially since the destruction of the Jerusalem Temple in the year 70 CE synagogues have become the central places of gathering of Jewish communities. They are complex, highly significant and polyvalent objects of for religious, social, economic, architectural, and artistic developments in Jewish culture. At the same time, they reflect the interdependencies with the surrounding cultures. Since the holocaust, historic synagogues also gained high importance as focal points of remembrance and education. However, scholars were interested in the material culture(s) of Jews all over the world well before the Holocaust and turned synagogues and their furnishings into a focus of their research. The documentation of synagogues as objects of cultural and historical significance started alongside with the establishment of Jewish ethnography („jüdische Volkskunde“) as an academic discipline at the end of the 19th century. They became items of collecting, which were set up in exhibitions and museums. Objects from the religious and cultural practice got „musealized“, as well as entire synagogue furnishings and sometimes even architectural elements. After 1945, the interest in synagogues as objects of cultural history continued. Besides ritual objects and furnishings, the „empty“ buildings of the annihilated communities became objects of interest. Historic synagogue buildings were regarded as museums, their material substance was and is restored and interpreted in different ways. The virtual and haptic reconstruction of destroyed synagogues generated another group of „immaterial“ exhibits. The congress will examine the subject in a wide range of perspectives of theoretical and historical reflections. 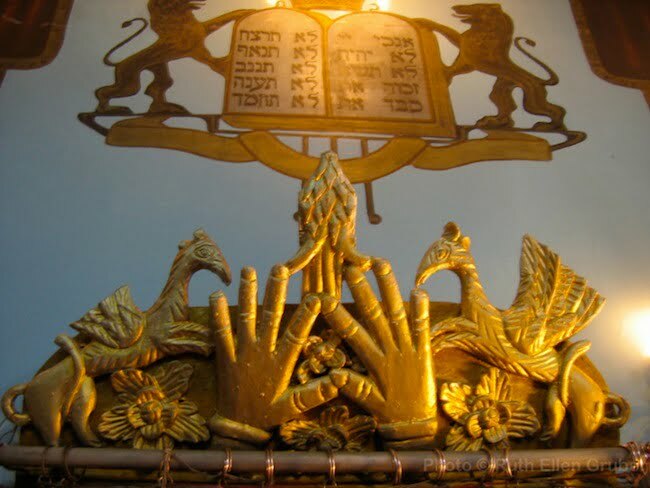 Historic and actual examples of documenting, collecting, and researching synagogues and their furnishing will shed light on the history, the presence, and the future of synagogues in and as museums. Thus, the organizers encourage scholars in the fields of art and architectural history, cultural sciences, Jewish studies, restoration and museology as well as experts in museums, collections, preservation authorities, and education programs to take part in the congress. This call asks for papers for talks (15 minutes) and for posters for a posters-section. It is also open for young researchers as well as museums, collections and initiatives who want to present their institutions and their ongoing or future projects. The members of the international and interdisciplinary academic board and the organizers will decide on the acceptance of the papers and the posters. The publication of selected papers and posters in the book series of the Bet Tfila – Research Unit for Jewish Architecture is scheduled for 2017. The conference language is English. Provisions to refund travel expenses will depend on the approval of running applications.